Two established weekly newspapers in East London are to merge from next month, regional publisher Archant announced today. Following a review of the marketplace in the borough of Tower Hamlets marketplace, Archant London is to merge The Docklands and East London Advertiser into a new comprehensive borough-wide title. 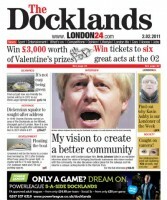 The new title, to be called the Docklands & East London Advertiser, will launch on 10 November with increased pagination. 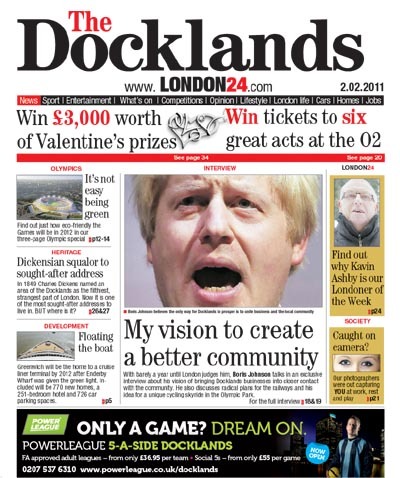 Archant London editorial director Bob Crawley said: “The new Docklands & East London Advertiser will build on the tradition of the Advertiser and the innovation of The Docklands to provide an insightful read for the residents of Tower Hamlets. “From an employment and shopping destination perspective Canary Wharf has become a key part of the every day life for Tower Hamlets’ residents. “Research conducted by the Canary Wharf group shows the estate is now the largest centre of employment for local residents as well as having close to 1m visitors a week to the shopping centre. Well done Archant, another forward-looking and progressive decision.